You would think that a purchase as simple as a t-shirt would be easy, but sadly it isn’t. There are thousands of t-shirt options available at all levels of quality. While you might be tempted to think- a t-shirt is a t-shirt…that just isn’t so! In fact, until you understand all these differences, you won’t understand why there are such price variations. 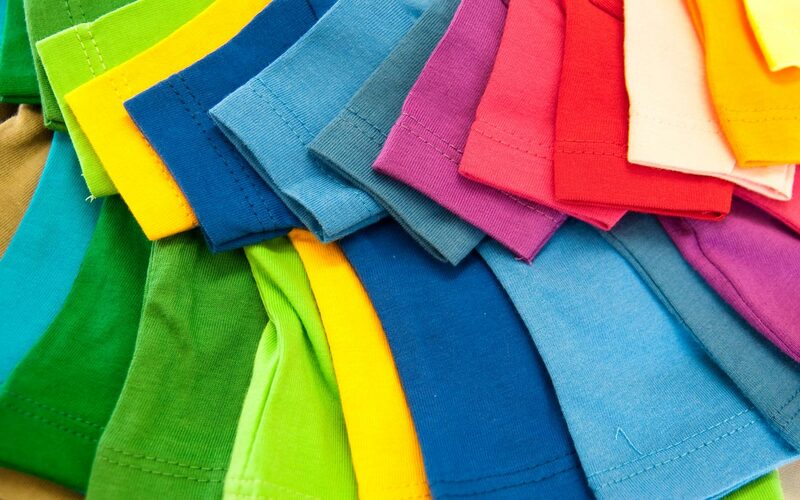 Fabric Types: There are many different types of fabrics available for t-shirts the most common being 100% cotton, 50/50 cotton polyester, 100% polyester (athletic and moisture wicking styles). But there are also sub-categories of each of these with things like organic cottons, 50/50 shirts that have moisture wicking characteristics…so this isn’t simple. And if that isn’t enough we are seeing within each of these categories sub-categories of shirts. For instance with cotton t-shirts you have your standard shirts, but also have soft style shirts available. Fabric Weight: There are wide variety of fabric weights available, which is one of the main factors in cost of the garments. There are three common fabric weights categories: featherweight (typically 3.2-3.8 ozs) medium weight (4-5.5 ounces) and heavy weight (6 ounces and up). Different brands are going to offer weights than vary slightly, for instance a 6 oz vs. 6.1 oz. but these differences are generally not going to be noticed by a consumer. Garment styles: There are many styles of t-shirts offered in various categories such as youth and adult, mens and womens. Long sleeve, short sleeve, with or without pockets, neck style- crew, v-neck, scoop necks, burnout, solid colors, heather colors, stonewash, tri colors, T-back, racerback, slub, and more. Within these broader categories you need to take note of the style or cut of the garment to ensure it will be appropriate for your application. For instance in women’s styles there is junior and ladies cuts. We know that this is a lot to think about…but that is why when you need to make a purchase you should do business with a professional company. Someone that can help you understand the differences in these products, someone that has a showroom so you can see and touch the different fabrics. If you would like to see firsthand the different options available, we would invite you to stop by our showroom at 6888 S Clinton Street, Greenwood Village, CO 80112.